Publisher's Note: Products purchased from Third Party sellers are not guaranteed by the publisher for quality, authenticity, or access to any online entitlements included with the product. 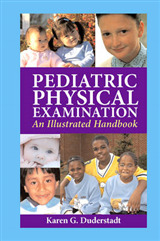 A complete full-color guide to medical laboratory test selection and test result interpretation for disorders and diagnoses specific to pediatric and neonatal populations Laboratory medicine practiced at a pediatric institution has unique characteristics specific to infants and children, who differ both metabolically and biochemically from adults. Many aspects of laboratory medicine are affected by these differences, from basic, day-to-day operational issues through test selection for pediatric-specific disorders. However, most references in laboratory medicine merely touch upon pediatrics - and offer little if any coverage of variations in testing and results for different age groups, or the many diseases and disorders most common in infants and children. Pediatric Laboratory Medicine is specifically written to fill this critical void in the literature. 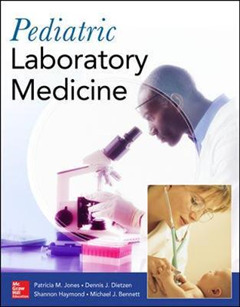 Now, for the first time, all important reference material concerning pediatric laboratory medicine is available in one convenient, up-to-date resource. Pediatric Laboratory Medicine teaches the effective operation of a pediatric clinical operation, and also provides guidelines for teaching trainees. 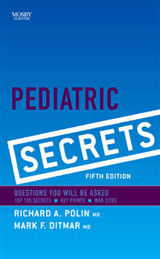 This unique text delivers the how-to instruction necessary to ensure proper handling and testing of pediatric specimens to ensure accurate diagnosis. 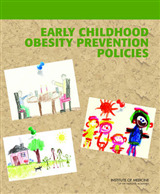 Valuable learning aids include learning objectives, end-of-chapter review questions, and references for further study. 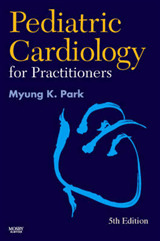 Written by experienced clinicians, the book's seventeen chapters cover virtually every important topic - from daily issues in the practice of pediatric laboratory medicine to common tests and considerations to inborn errors of metabolism and therapeutic drug monitoring. 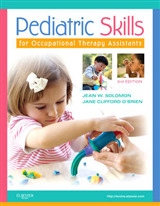 Enhanced by numerous tables and high-quality full-color images, this authoritative resource delivers everything necessary for effective pediatric laboratory medicine training and practice.